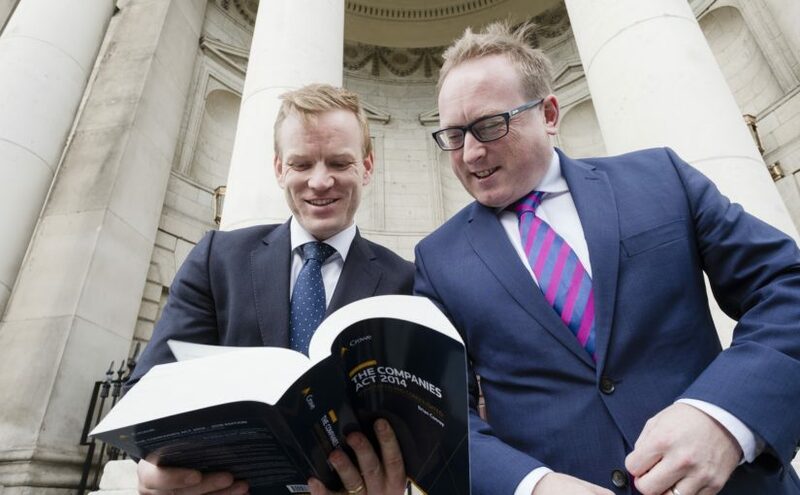 Pictured at the launch of the 2018 edition are Brian F Conroy, BL and Chris Magill, Partner, Crowe. 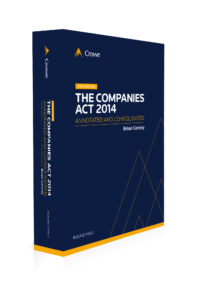 The Companies Act 2014: Annotated and Consolidated is the successor to the Combined Companies Acts and its publication marks 30 years of Crowe overseeing this essential annotated reference to the legislation. The first edition was published by Crowe in 1989 under the firm’s former name, Bastow Charleton. The Companies Act 2014 is the longest Act in the history of the State and consolidates 13 Acts of the Oireachtas as well as numerous statutory instruments. The Act also introduces numerous radical reforms to existing company law. This new edition has been fully updated and is the essential annotated reference to the Companies Act 2014. The new Companies (Accounting) Bill 2016, incorporated in this edition, will have significant implications for the application of key aspects of financial reporting by companies. As part of this latest edition, all chapters have been revised and rewritten to incorporate recent developments, and many have been expanded to cover areas not previously addressed in previous editions. It is published by Reuters Roundhall and currently on sale for €250.